In 2018, Google finally rolled out its redesigned Gmail app. Aside from the greatly improved on-screen visuals, the redesign also introduced several new features into the ubiquitous email service. We’ve already looked at how to use the new nudge feature What Is Nudge in Gmail? And How to Turn It On and Off What Is Nudge in Gmail? And How to Turn It On and Off In April 2018, Google rolled out the first major Gmail design overhaul for several years, and it has several new features---including one called Nudge. Read More , so now it’s time to look at how to mention (@) other users. You’re probably already familiar with the concept of using the @ symbol to mention someone—it’s a feature that’s available in many other services, including Twitter, WhatsApp, and Telegram. Now here’s how to use it in Gmail. First, you need to make sure you’ve upgraded to the new version of Gmail. If you’re still running the old interface, the mention feature will not be available. To upgrade to the latest version, go to Gear > Try new Gmail. 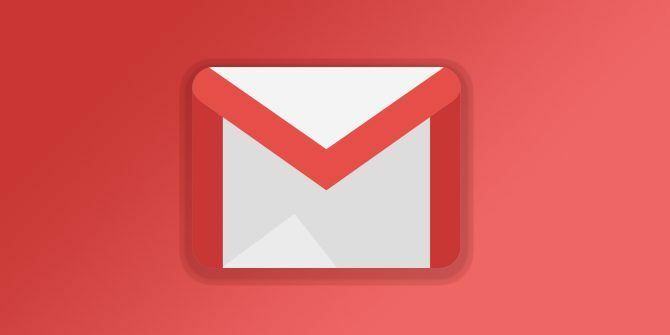 Don’t worry, it’s possible to switch back to the classic version How to Go Back to Classic Old Gmail How to Go Back to Classic Old Gmail Have you switched to the new Gmail design and want to return to the old Gmail interface Here's how to go back to classic Gmail. Read More if you don’t like the new one. Open the Gmail app in a browser. Start to compose a new email. While writing your message, type @ followed by the first few letters of a person’s name. A list of anyone who matches your search query will pop up. Select the name of the person you want to mention. Their email address will be added to the list of recipients and the person will become part of the email thread. Note: Unlike the new nudge functionality, there is no way to turn off the mention feature. And remember, to remove someone from a thread after mentioning them, you will need to remove them from the CC field of the address box, otherwise the person will be permanently privy to all future correspondence. Nudge and mentions are just two of the latest Gmail features 5 Powerful New Gmail Features You Need to Start Using Right Now 5 Powerful New Gmail Features You Need to Start Using Right Now These new Gmail features from the Gmail redesign will help you manage your email better, faster, and with less hassle. Read More , there are plenty more you should try out. Please add a share with G+ to your articles.